Firefighters Movers Allen TX | Firemen Movers - MoveStar Inc.
Allen is a rapidly growing city in the Colin County of Texas, the northern suburb of Dallas. Latest details suggest that the city has a population of around 1, 00,000. Until a few decades ago Allen was just a small town with only few hundred residents. But things changed massively after the construction of the U.S. Route 75, the Dallas/Fort Worth International Airport. The surrounding areas of Dallas and Plano have also developed rapidly over the years due to which many communities are planning to settle in Allen that offers serene conditions despite infrastructural development. If you love the subtropical climate conditions, then Allen is best for you. 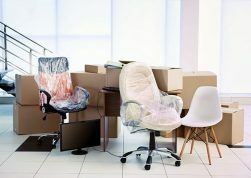 With MoveStar firefighters moving company at your behest, you need not worry at all about relocating to this beautiful city that offers great opportunities be it education or career. You might wonder what makes MoveStar so special. We believe in offering a complete professional moving and storage package without any hidden costs so you know exactly the services you are getting when you pay us. MoveStar is owned and operated by the Dallas Fire and Rescue firefighters movers who take all the responsibility for your belongings and precious assets during the transition and ensure 100% safety. Irrespective of whether you want to shift within the city or in a different city or state, our fireman movers ensure stress-free and painless moving as complete customer satisfaction is our primary goal. Our moving company is one of the few local companies offering complementary services that include restoration and refinishing of the furniture as well as adequate storage arrangement during the transition. 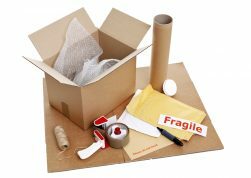 Whether you need help to pack and unpack your belongings or want to restore the items that were damaged during moving, our fireman movers are aware of all such issues and are ever ready to offer you all such services. Leave all your worries about moving to our off duty fireman movers. For any queries or to get a quote call MoveStar and fix an appointment with our representative now!